Know what I love about Disney's Frozen? It's an inter-generational kind of movie. Do you know what I mean? Our family saw it in the theatre and loved it. My boys thought Olaf was the funniest. thing. ever. But even my husband and I thought it was wonderful. Of course, now that we've watched it 3 billion four hundred seventy three million eight hundred ninety one thousand five hundred twenty six times, the magic may or may not be wearing off a little. Fine, maybe that was a wee bit of an exaggeration, but if your house is like mine, we've seen it a few times. Regardless. A few weeks ago we were asked to put together a collection of vinyl wall decals inspired by the movie, the characters, the themes. We had so much fun! And we might have watched the movie - with snacks - a few times for inspiration (grin). Plus, creating snowflakes and winter designs was lovely wishful thinking in the blistering Vegas heat. 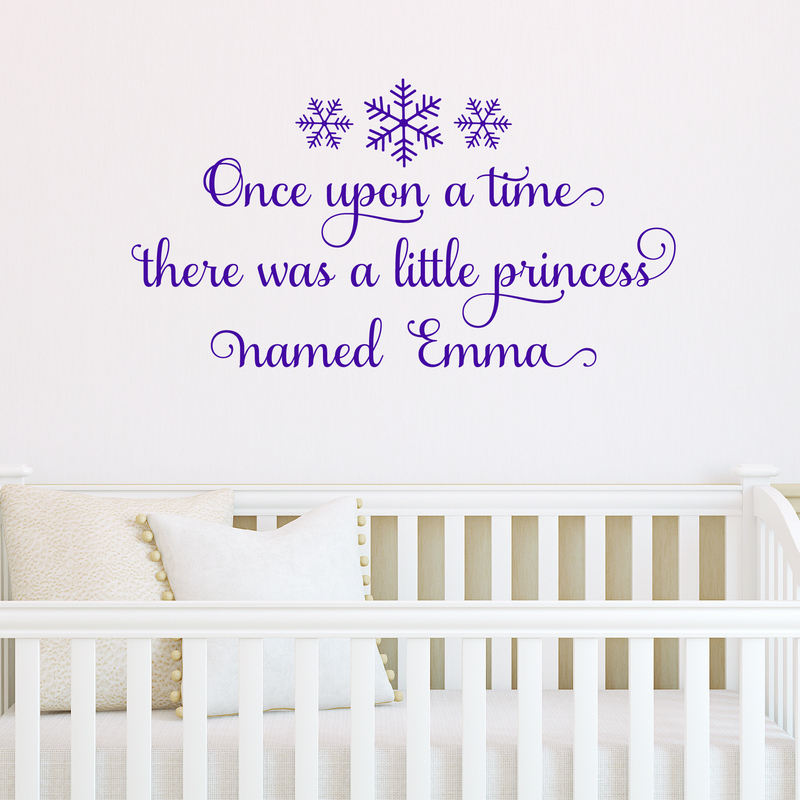 And so we thought we'd show off a little today and introduce you to some of our favorites from our new collection of Frozen-inspired Wall Quotes™ decals. We hope your little ones'll love them as much as we loved creating them. Wahooo! 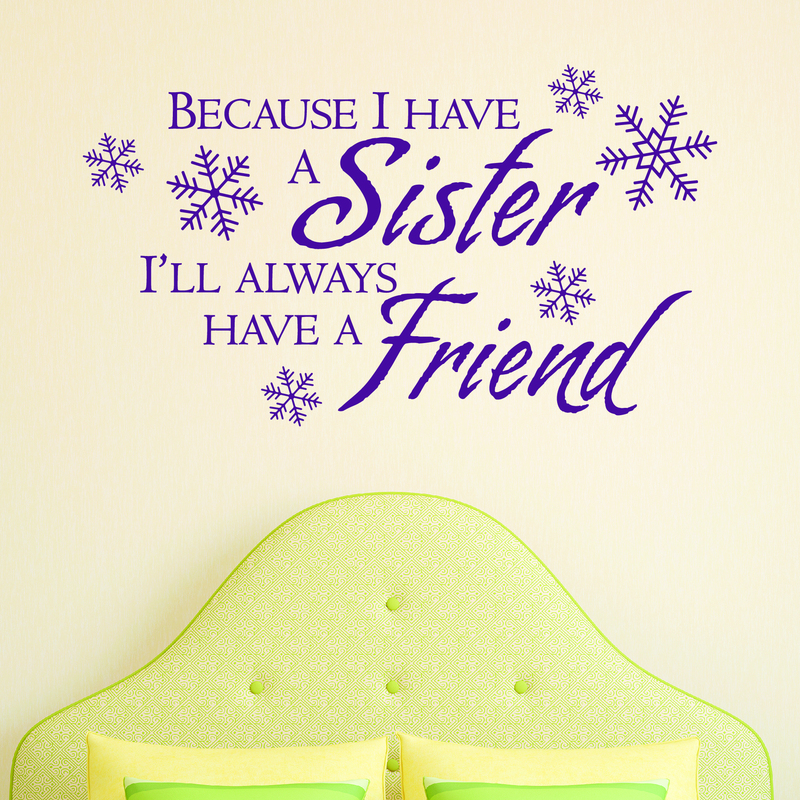 Sisters are the best of friends. And the sweet snowflake accents make this the perfect accent for a room little girls share. Don't you just love the scripty cuteness of this design? 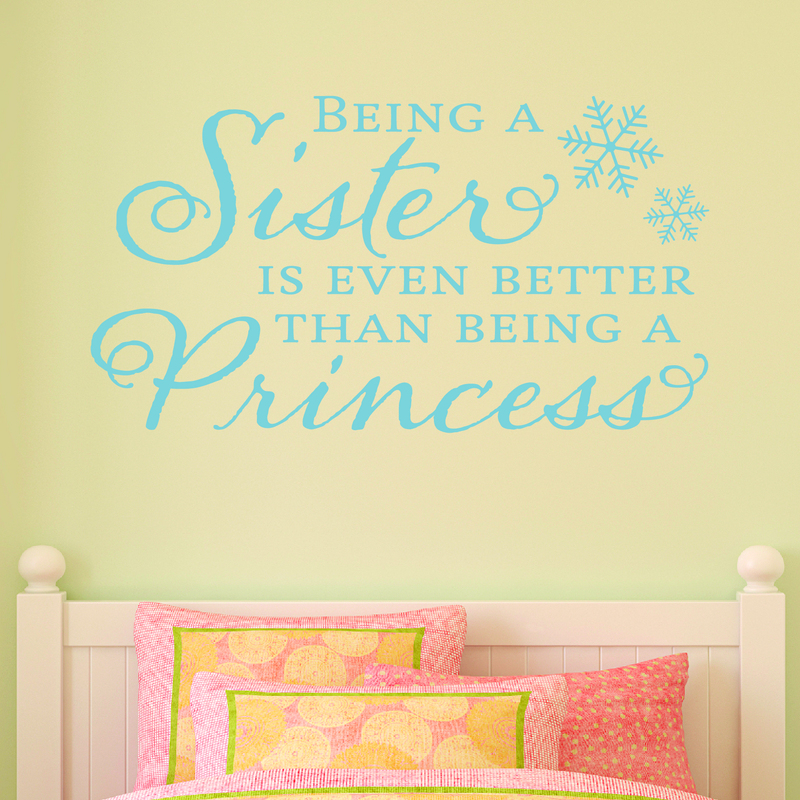 Besides, if we learned anything from the movie, it's that it really is more important to be a good sister than to be a fancy princess. 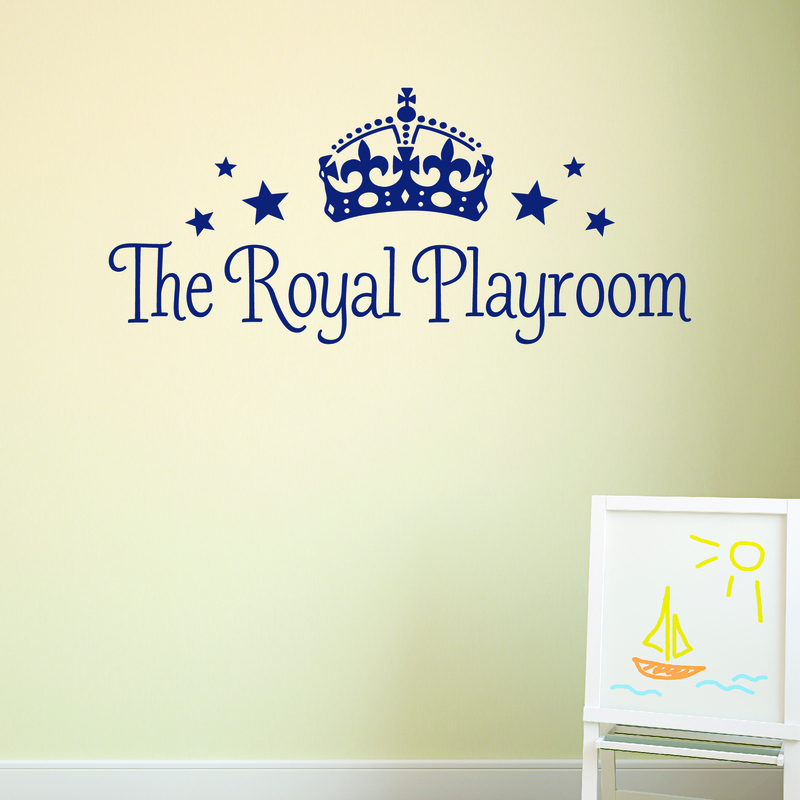 This design is one of our most popular nursery vinyl wall decals. We thought it only fitting to modify it just a little by adding whimsical snowflakes - for Canadians who enjoy long winters (I'm one of them!) and little girls who love Disney's Frozen. This design isn't exactly Frozen related, but goodness - what little princess wouldn't love to have a Royal Playroom. Fabulous, darlings.